Duffle bags are an ideal carry on luggage choice for certain trips and travelers. If you’re using one as your main piece of luggage, follow these steps to pack your duffle for travel. 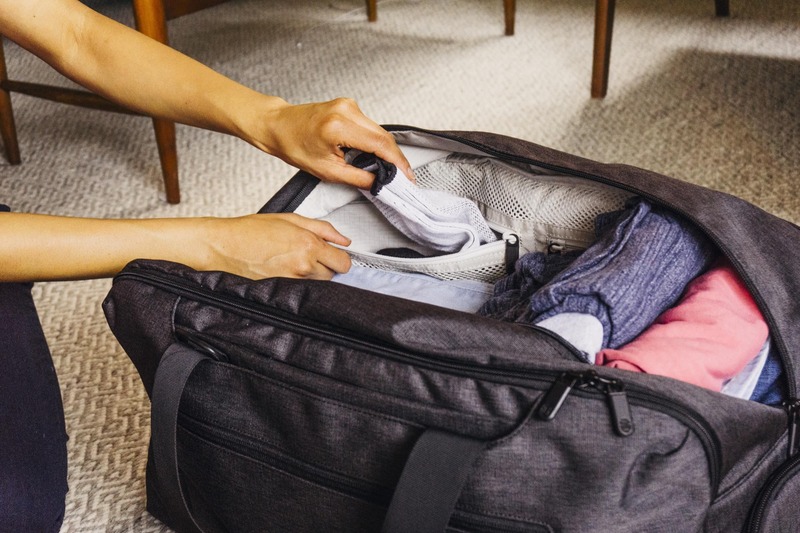 Whether you want to pair your duffle bag with a personal item-sized backpack, or stealthily bypass the last-minute, forced gate-check of bags on a full flight, sometimes, a duffle bag makes the most sense as your carry on luggage. If you’re bringing a duffle on your next adventure, read on to learn what to put in it and how to pack your duffle bag for travel. Can You Use a Duffle Bag as a Carry On? Yes. As long as your duffle bag is within the airlines size requirements for carry on luggage, you can use a duffle bag as a carry on item. For most airlines and flights, that means choosing a duffle bag that is no larger than 9 inches x 14 inches x 22 inches (for most flights). So, something that’s about 35L, like the Setout Duffle, is an ideal size. Size isn’t the only consideration for choosing a good duffle bag for travel. You’ll also want to make sure it’s functional. For this, steer clear of gym or sports duffles that lack organizational components. 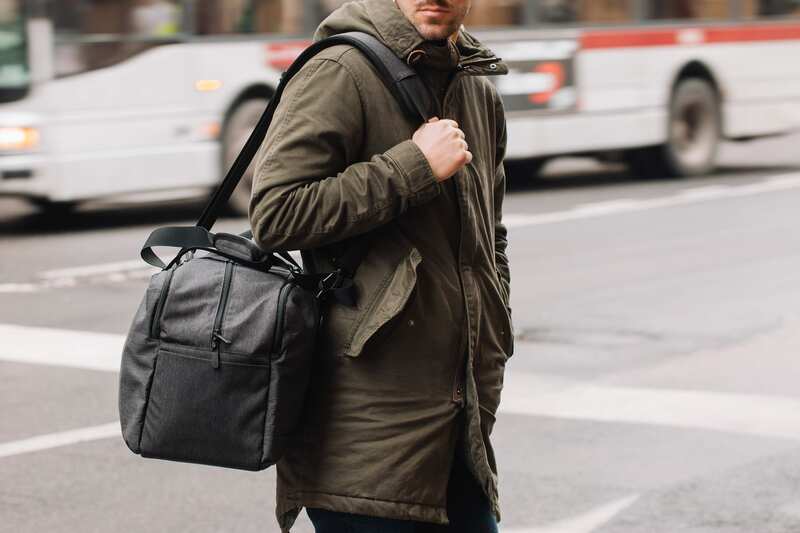 Instead, opt for a duffle that’s specifically designed for travel, has a bit of structure to make packing easier, and comes with a cross-body strap for carrying it hands free. I’d also recommend avoiding roller duffles, as they’re heavier than a regular duffle. This is especially important if you have to abide by strict weight restrictions — particularly on budget airlines like RyanAir, TigerAir, EasyJet, Norwegian, or JetStar — and would rather use those extra two pounds for your camera, not your wheels. While you may adjust a few things in your packing list from trip to trip, generally, the bulk of what we bring when we travel stays surprisingly consistent (after all, no matter where you go, you’ll always need a toothbrush.) So, to demonstrate how to pack a duffle bag for travel, I’ll be using our definitive carry on packing list as an example of how to fit everything in your duffle bag. Now that you have your packing list, what’s the best way to fit it all in your duffle bag? Use these tips to pack your duffle bag for any trip. 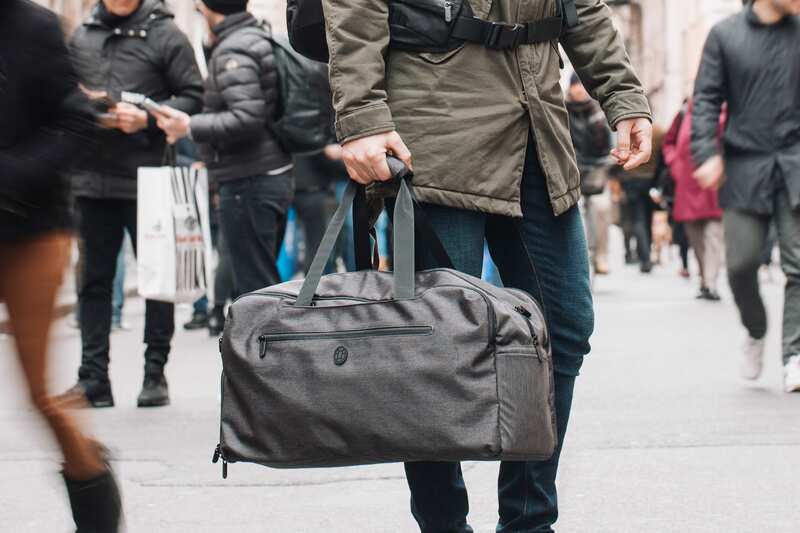 With duffle bags, it’s way too easy to just stuff everything in your bag, or let it all come unfolded the minute you have to rummage around for a new pair of socks. It’s also a little harder to see everything you have in your duffle bag than in a suitcase or backpack. 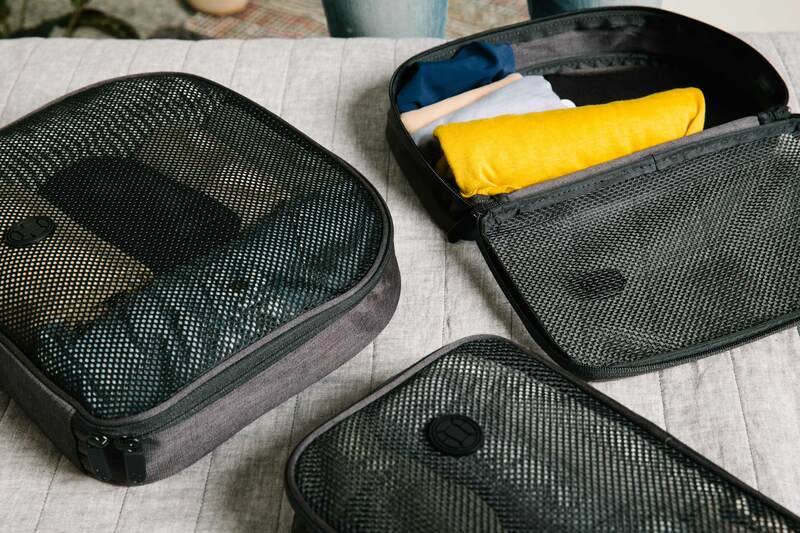 To keep your clothes folded, organized, and easy to access, make use of packing cubes. Start by choosing a packing cube you can see into, then roll your clothes and stand them up (yes, just like Marie Kondo recommends) so you can quickly see everything you have in a single cube. Use multiple cubes to further organize your travel wardrobe, either by clothing item, dirty/clean, or any other way that makes sense to you. Personally, I like to sort my clothing by use case — hiking and adventure clothes in one cube, casual outfits in another, and PJs and underwear in a third. Once you have your packing cubes packed, put these into your duffle bag first to form a base. Let’s face it: shoes get dirty, and we don’t want them mingling with our clean clothes — even if they aren’t caked in mud. 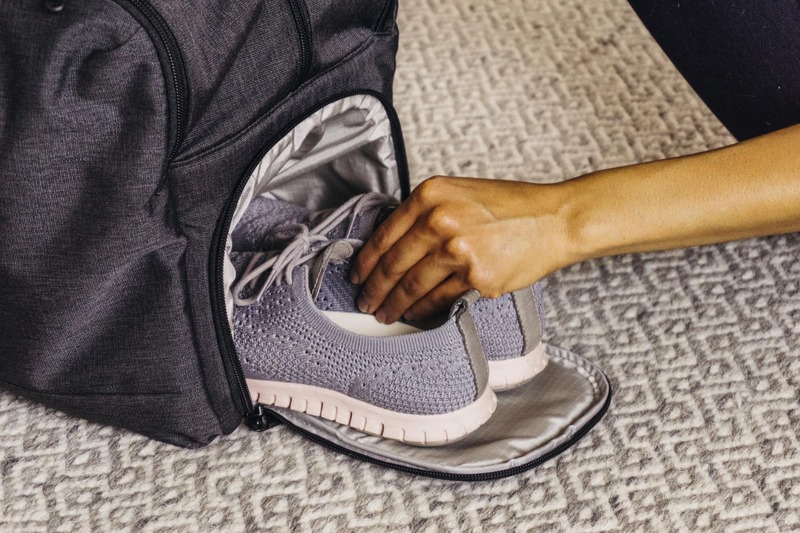 To pack your shoes (we suggest wearing one pair and packing one pair), place them in a separate compartment of your duffle bag from the rest of your items. Some duffles designed for travel, like the Setout, have a dedicated space for shoes. If your duffle does not, you can always use a shoe bag to create a separation. Then, place your shoes on the bottom of your bag, with your clothing packing cubes next to and/or on top of them. Next up: toiletries. Whether you’re bringing it all, or just a few items to supplement the free goodies at your hotel, make sure all of your liquids and gels are in containers no larger than 3.4 ounces. We recommend using a reusable container (the GoToob line is a Tortuga favorite) for these. Next, pack them all in a single toiletry bag — it should be a clear bag if you’re going through airport security — and add them to the top of your bag. This way, they’ll be easy to access should you need to take it out for TSA screening or grab something mid-trip. Next, place all of your important paperwork — passport, boarding pass, notebook, etc. — in an easy to access outer pocket. You’ll want them easy to get to, but also not freely roaming around the main compartment of your duffle, since these small items are so easy to lose. 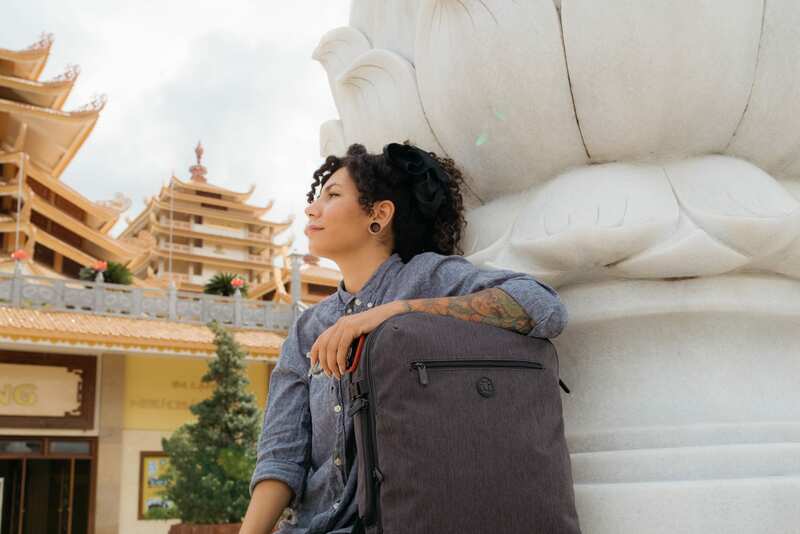 Again, some travel duffles will have organizational features that keep all of these small, yet important, items in order (pen holder, small pockets, etc.). If yours doesn’t, you can use a pouch or accessory bag (I like the fashion-forward ones by Topo designs ($15)) to keep these items together and easy to reach for. If you’re traveling with a laptop, tablet, or kindle, you’ll next want to place these in a dedicated outside pocket. Again (you might be noticing a theme here), those designed for travel will have one, but some duffles will not. If your duffle comes with a laptop sleeve, add your laptop or other large device there, and place your chargers alongside it. If you do not have an outer pocket for your device, place it in a sleeve and add it on top of your clothes in the main compartment. This will help keep it from getting damaged if you, say, toss your bag down on the floor while collapsing in exhaustion after a 12-hour flight. For any other odds and ends, especially those you won’t need while in transit, layer these on top of your clothes in the main compartment. For small items, again, make use of small pockets in your duffle or an accessory bag to prevent them from floating around and getting lost. Your duffle bag is your carry on item, which means you’re still allowed a personal item to carry alongside it. If you’re opting for a personal item sized backpack, aim for something around 20-26L, so it’s large enough to fit any additional travel essentials you’re bringing (camera, water bottle, etc.) but small enough to fit under an airplane seat. Not surprisingly, we have a backpack, the Setout Laptop Backpack ($125) that fits the bill. 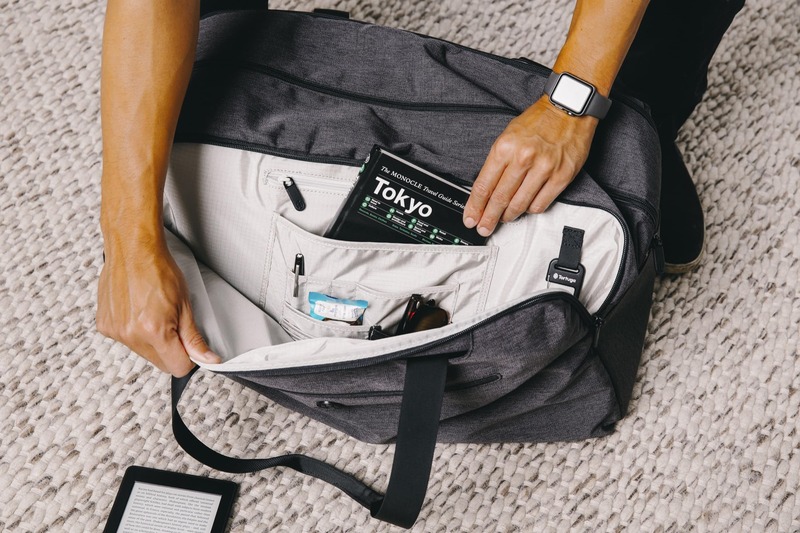 It’s designed to fit under (most) airplane seats, comes with organizational features you’ll want while traveling, and packs like a suitcase for easy access to all of your gear. 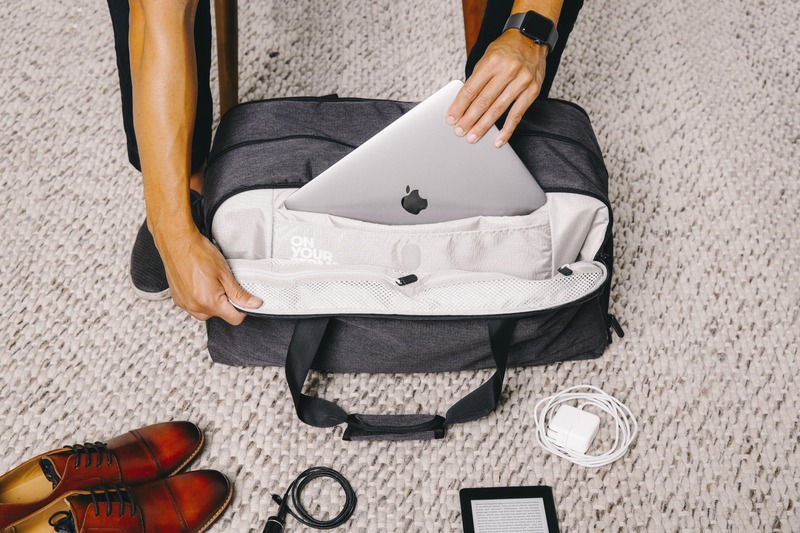 If you’re not traveling with a laptop, a simple daypack will do! 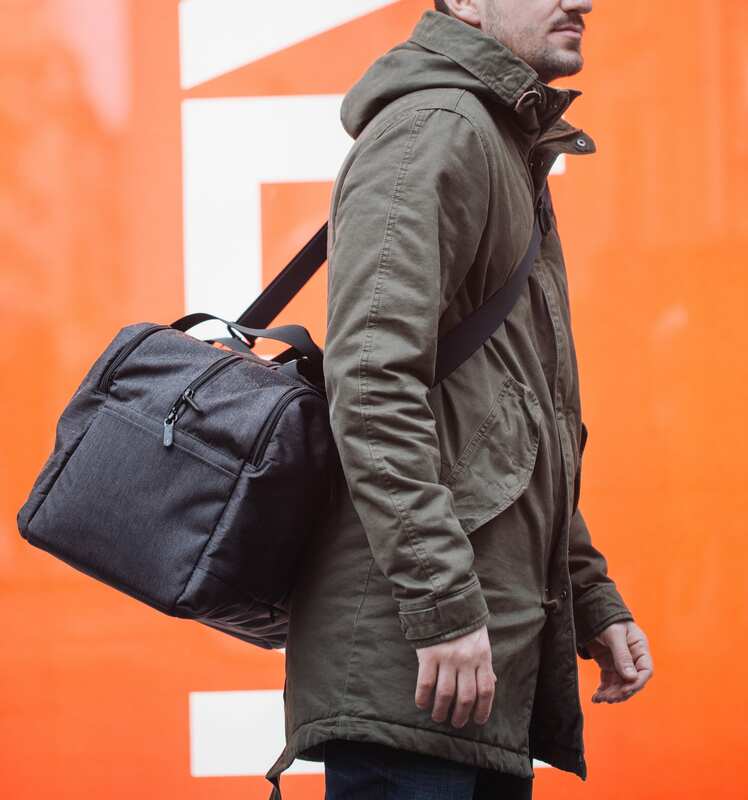 For your personal item, pair your duffle bag with a small travel backpack, such as the Setout Laptop Backpack ($125).